If August 15, 1947, and January 26, 1950, were independent India’s first two Promethean moments, one freeing us from foreign rule, the other gifting us a democratic republic, August 24, 2017, should, in all fairness, go down in history as its third, for on that blessed day the Supreme Court declared privacy a fundamental right, thereby changing our lives forever in ways it may take us a while to unravel and fathom. It’s difficult to imagine a more libertarian credo. Coming at a moment as it does when the government in power is trying to curb, sometimes subtly, but often overtly, certain individual freedoms in the name of questionable public or national good, many see the verdict as a fresh lease of life for civil liberty activists fighting laws that discriminate against minorities such as homosexuals and beef buffs. It also offers a ray of hope to star-crossed lovers who are often hounded for crossing arbitrary Lakshmanrekhas of religion, caste, community, class, race, and even gender. But perhaps more momentously, in the wake of Edward Snowden’s disclosures on global surveillance, the judgement puts a big question mark on the right of governments and corporations to collect, share, sell and manipulate personal data that may infringe individual privacy and dignity. While it takes care of the conceptual part of the challenge to Aadhaar, namely whether privacy is a fundamental right, a five-judge Constitution Bench will determine whether Aadhaar itself violates privacy later this November. To be sure, Aadhaar, touted as the world’s largest biometric ID undertaking, is Big Data. 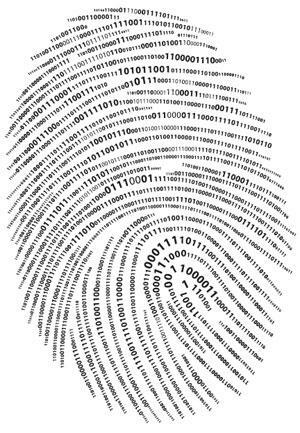 Under the Aadhaar (Targeted Delivery of Financial and other Subsidies, Benefits and Services) Act, 2016, each resident Indian will be branded with a unique 12-digit digital tattoo representing not only regular personal data such as name, address and date of birth, but also, controversially, scans of all the 10 fingers and the iris. 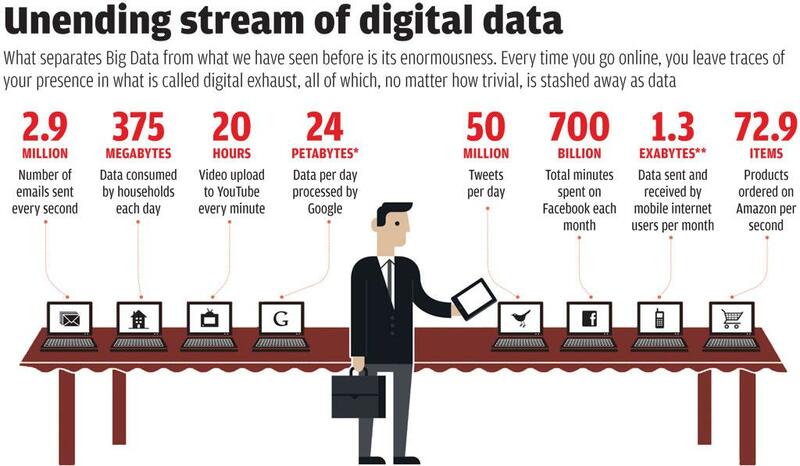 All this data is stored in a centralised vault in Manesar, Haryana. As of August 15 this year, the project had issued about 1.171 billion cards at an expense of over Rs 9,000 crore. It’s quite possible that the Supreme Court may not rule Aadhaar as in breach of the right to privacy. It may try, as some legal minds have suggested, to balance public interest and privacy by instructing the state to enact a robust data protection law. Nevertheless, the government’s almost fanatical apology for Aadhaar, not to mention the fact that it argued against privacy being a fundamental right, suggests an abiding faith in the seductive power of numbers. As anthropologist James Scott documented in his compelling Seeing Like a State, the state has always worshipped data, as it gives more power to the powerful, even if often at the expense of people’s happiness. Guided by the same instinct, the current craze to quantify almost everything stems from Big Data’s supposed extraordinary power to extract new truths about the world. It is based on the premise that everything in the world can be captured in ciphers of 0 and 1, and that if we could capture enough of it, preferably all of it, we can rummage in it using slick mathematical combs called algorithms and pull out non-obvious insights into practically every problem on earth—how to stop a terrorist, catch a tax cheat, prevent train accidents, predict and tackle extreme weather events. On the other hand, in the light of Snowden’s revelations, many critics see in the rise of Big Data the germs of a “new mind control”. For some others like Shoshana Zuboff of the Harvard Business School, Big Data, together with artificial intelligence (AI), represents a massive disruptive engineering of the human soul with ominous and as yet unclear implications for notions of freedom, privacy, justice, moral reasoning and autonomy. But what really is Big Data and how is it different from older forms of data that we thought were huge, census data, for example? What explains its lure, not to mention its wickedness? At first glance, what distinguishes Big Data from older forms is the sheer volume of it: the world has never seen such a glut of data, especially digital data. To give you a handle on it, consider the following: 95 per cent of all data created since the dawn of human history was created in the past two years; data doubles in size every two years; by 2030 almost every person in the world will be sporting a smart-phone; by 2020, an estimated 50-200 billion smart devices will be “talking” to each other. Most tellingly, Big Data enthusiasts never forget to mention that currently less than one per cent of all data is ever analysed or used. But volume or size is not the only defining feature of Big Data. People add two more Vs to it: high velocity, meaning data is being created in real-time, and greater variety, meaning it is both structured, such as credit card transactions, and unstructured, such as random browsing on the Internet. While the world has been collecting and archiving data from yore—in the form of books, films, music, government documents, financial records and scientific data—the ongoing data revolution was triggered by the explosion of the Internet. Again, to grasp what this means, consider this: before you can say Big Data, the world would have logged 7,745 tweets, 800 Instagram posts, 2,750 Skype calls, 62,300 Google searches, 70,660 YouTube videos and 2,621,171 emails. 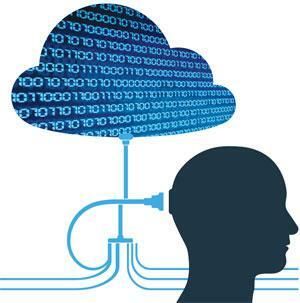 What also separates the era of Big Data from the past is the enormously enhanced capacity to store data, and forever. This endless data stream is now captured and stored in behemoth data servers (unjustly called clouds) scattered around the world. So as you read this piece online, some digital critter probably sitting in a cloud somewhere in the Arctic is recording the fact that you are curious about Big Data. In fact, the unpalatable yet unavoidable truth is that anyone who conducts her life online—through cellphones, smartphones, Internet and plastic cards—is being tracked 24x365. Every time you go online, you leave traces of your presence in what is called digital exhaust, all of which, no matter how trivial, is stashed away as data. However, the most crucial aspect of Big Data is how we are interpreting it, what new meanings and facts we are sifting from it. In the last century, statisticians evolved mathematical tricks, such as random sampling, which allowed social scientists to glean statistically significant “truths” about a randomly selected part of a large group of things or people and then assume that the “truths” would hold for the whole too. It was practical, cheap and reliable, provided it was carried out carefully and honestly. Indeed, much of what psychologists, sexologists, nutritionists, epidemiologists, doctors, salespersons and election trackers tell you about how the world works is based on this trick. It trumps intuition to think that what is true of a randomly chosen sample of 1,100 observations about something about which people can answer in yes or no would also hold for the whole population, no matter a million or a billion, with a 3 per cent margin of error. The theory behind it is that after a certain point early on more or bigger doesn’t necessarily yield something new. However, if the random sample is not precise or is fudged, or not sufficiently random, things can go wrong, sometimes horribly so if the results reinforce subtle prejudices of caste, gender, race or class, like blacks being inherently less bright or women being bad with numbers. Aren’t we all familiar with the popular lampoon, Lies, Damned Lies, and Statistics? That said, since it is logistically difficult and expensive to collect all data points, researchers, and hence we, have had to make do with sampling’s approximate truths. In 2008, a team of software geeks at Google with zilch training in medicine was able to track the passage of flu in the US without looking at the result of a single medical check-up. They simply put millions of carefully chosen Google searches like “flu symptoms” and “drug stores nearby” through a thresher of algorithms, which predicted with reasonable accuracy the odds of when and where the flu is likely to break out. Most fascinatingly, their prediction beat the government’s by a week. Before long Google Flu Trends (GFT), as the algorithm was labelled, was hailed as the poster child of Big Data. This was spooky as it flies in the face of how we have tried to make sense of the world—take a general theory about how things work, draw from it a hypothesis about how two particular things might be related, say environment and disease, and gather data to see if it bears out the hypothesis. Google just threw theory out of the window. They simply fiddled around in a large heap of messy data and found a strong correlation between Google searches for flu and its outbreak. Cukier will not go as far as Anderson but he is truly impressed with how Big Data is challenging common sense. Consider the making of Google Translate. Google engineers put their cyborgs to work on billions of pages of translations of good to middling quality (a fine example of messy data). What came out was a fairly workable, but by no means perfect, digital translator. It is the best in the game and can translate among 60 languages. Cukier explains Google Translate works better than others not because it has smarter algorithms, or that computers can crunch data much faster now, but because Google was able to use thousands times more data as it wasn’t bothered by messiness. In fact, in a paper titled “The Unreasonable Effectiveness of Data”, Google’s AI maven Peter Norvig argued that messiness is the key. That messiness is probably what makes Big Data work is a mere intuition, not an inference drawn from a theory of how Big Data works. Indeed, nobody knows why it sometimes works, or why at others it doesn’t. No surprise then that GFT failed spectacularly in 2013 when it predicted a strong flu outbreak where there was almost none. As the cautionary tale goes, they mistook correlation for causation. Anyway, stung by the betrayal of their algorithms, they quickly buried the programme. But, as history is witness, some ideas have a way of persisting against better judgement. While no one’s claiming that Big Data is all bunkum, the GFT story should be a sobering caveat to not turn Big Data into a theology and oversell its promise. In a much-discussed paper, “Critical Questions for Big Data”, sociologists Danah Boyd and Kate Crawford, offer six sobering “provocations” to spark a critical conversation about the tall claims of Big Data. They argue that Big Data does not change the way we make sense of the world (meaning theory is alive and kicking); that it is not necessarily objective and accurate; that bigger is not necessarily better; that it loses meaning if taken out of context; that just because it is available does not make it ethical; and finally that privileged access to data creates Big Data haves and have-nots. In fact, this state of being that privileges the “what” at the expense of the “why” appears to have seeped into the popular psyche, and is probably influencing political and social narratives on the ground. So ordinary folks readily lap up fancy gizmos like the smartphone or download free apps without bothering to wonder what they might be losing in the bargain. Truth is understood as something that works, heals, fixes, makes things easier; no one has the patience, or competence, to look what’s behind it. Post-truth politics is a child of this world view. So if false propaganda helps you win elections, so be it. Donald Trump made good use of this weapon when in the 2016 Presidential elections he trumped everyone, politicians, pundits and pollsters alike, with a deadly cocktail of Machiavellian instincts and Big Data. But in the Indian context no one’s a finer connoisseur of Big Data than our Prime Minister Narendra Modi who leveraged it in the 2014 elections. A la Scott, Modi knows how the state sees. So he dreams of connecting every Indian through the smart-phone so that while he does his Mann Ki Baat with 1.25 billion Bharatwasis, he can also sense and tweet their mood. His flagship project of Jan Dhan, Aadhaar, Mobile (JAM) is geared towards quantifying all Indians. Alongside, he wants to integrate all manner of other data, currently locked in silos, such as data on crime, land use, forests, banking, finance, insurance, agriculture, education and law, with JAM. In fact, even demonetisation, which did not meet its original objectives, is being passed off as yet another attempt to digitise India. In Big Data parlance, both the state and the corporation are aggregators—the former aggregates power while the latter capital. It suits both to get as many Indians as possible on the smartphone board, so that both can milk Big Data. So far, the government has little to show for Big Data insights into governance, except for the claim that it has saved about Rs 50,000 crore because of Aadhaar-based direct benefit transfers in the past two-and-a-half years. However, at the same time many researchers have shown how making Aadhaar mandatory has excluded many poor and needy people from getting subsidised rations because of one or the other technical glitch. While Big Data could potentially yield new insights into pressing problems like air pollution, flooding in cities, sharing of river waters, or managing waste, the government seems more interested in catching crooks and criminals. This year it flagged off two projects—Project Insight, a Rs 10,000 crore worth attempt to catch tax evaders by tapping into data on income tax, bank accounts, and social media, and the Rs 2,000 crore worth Crime and Criminal Tracking Networks and Systems (CCTNS), which seeks to digitise all crime records in the country and use that data to make predictions about crimes, criminals and victims. The fact that the government is going about amassing huge amounts of personal data about its citizens without first putting into place necessary safeguards that protect their sense of privacy and dignity demonstrates they don’t care. Why, in the privacy case hearing Attorney General K K Venugopal argued that privacy is an elitist notion and that in India “it is not fair and right to talk about right to privacy for such poor people”. 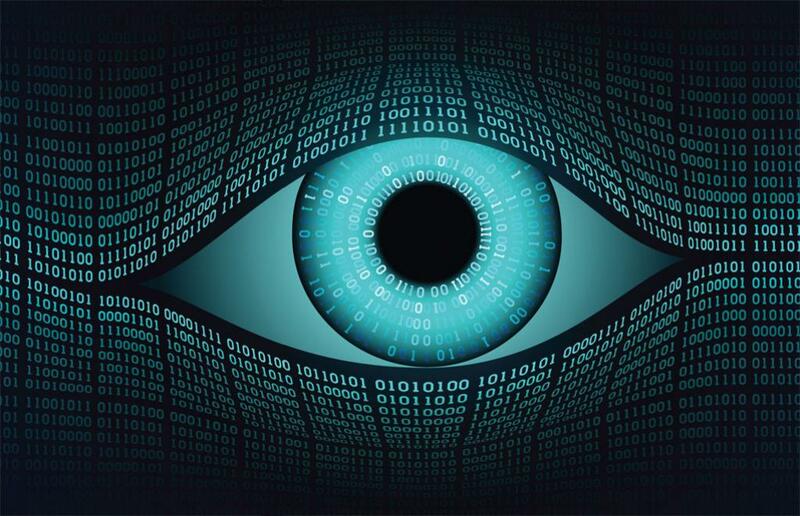 It is precisely the shadowy nature of data collection, its storage, and, even more insidious, the shadiness of algorithms, the black magicians of Big Data, that gives it an Orwellian tinge. In the opening scene of the 2004 sci-fi film Minority Report, following a tip-off by a bunch of clairvoyant mutants, a police posse barges into a man’s house and arrests him for the crime of murdering his wife the next day. With the help of the mutants’ crime forecasts, the “pre-crime” unit is able to cleanse the city of crime by jailing anyone who may have been thinking of committing it. However, when the chief of the “pre-crime” branch, played by Tom Cruise, begins to have doubts about the ethics of what he is doing, his department views him as a threat and frames him for murder by tweaking his thought data. Moral of the story: it’s ok to fudge data in the larger interest of society. In a scary adaptation of art to reality, the police in Los Angeles and Chicago are rounding up suspects on the grounds of thinking of doing bad things. Except that here the mutants in movie have been replaced by an algorithm called Palantir, which can predict who is likely to commit a crime when and where. As it is in cahoots with the secret arms of the state, it cannot but keep a very low profile. It doesn’t even have an address—rumours have it that it is located in some nondescript Palo Alto street in a vault with walls so thick that nothing, not radio waves, not phone signals, not even Internet can pass through. You can imagine what Palantir means to both its founders and to their masters. In 2015, it was valued at US $20 billion. 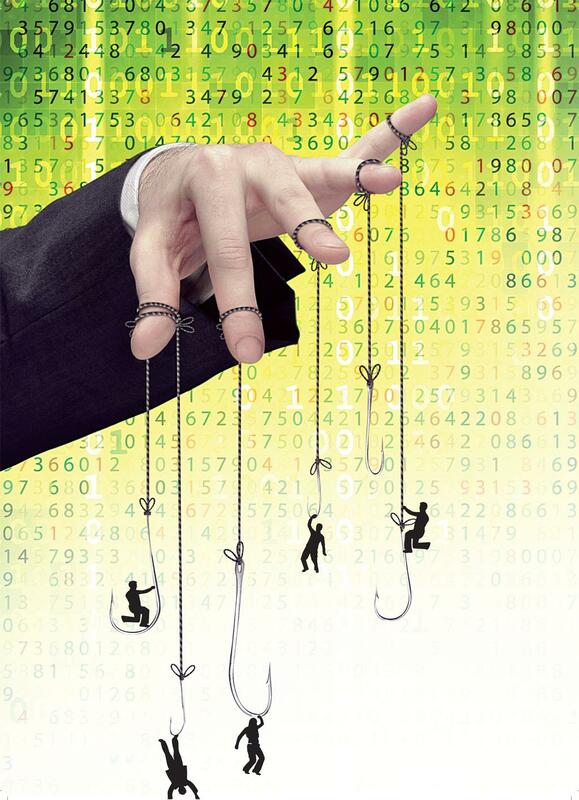 The risks of Big Data prediction go beyond criminal justice. As societies start setting greater store by efficient and risk-averse norms, there is a real danger of algorithms replacing human judgement. So based on psychological profiles cobbled together by algorithms, a company may deny job to an applicant, or a spouse may file for divorce, or a bank may deny loan to a customer. The rise of predictive analytics does not bode well for the future of certain subject-area experts either. Some jobs are already becoming redundant—online papers like Huffington Post now employ algorithms to choose content in consultation with editors; in the creation of Google Translate, linguists played second fiddle to software engineers; and we have all heard about how Amazon chief Jeff Bezos fired his team of book reviewers when he found that algorithms were far better in seducing customers to buy books. Even species like yours truly may have to adapt to the new world as algorithms created by companies like Narrative Science become better at writing reports. Indeed, there is a real fear that in a world dominated by Big Data and AI, humans may lose their preeminence. Just last week, the Russian President, Vladimir Putin, predicted that countries that invest heavily in AI would dominate the world. Elon Musk, the billionaire technologist, agreed with Putin and added that AI may trigger World War III “if it decides that a preemptive strike is most probable path to victory”. Who would want to live in such a world? In fact, the sinister success of Palantir should alert us to the ominous portents of the Big Data nexus between the state and the corporation. Snowden’s whistle blew the cover on how US National Security Agency (NSA) created a spy dragnet called PRISM that siphoned off personal data not just of Americans but also of people around the world from the databanks of giant IT and Internet companies like Google, Apple, Verizon and AT&T, and stashed it away in large clouds like the Utah Data Center. Snowden told the The Guardian that anyone with access to the PRISM database could spy on the intimate lives of anyone in the world. In fact, the just-retired Union home secretary Rajiv Mehrishi told a parliamentary panel last month that, unbeknownst to them, 40 per cent of Indians using smartphones share their data with US intelligence agencies. The corollary to this is that once the corporation-state nexus entrap, either by coercion or by seduction, the rest of the 60 per cent into the smartphone stream, we are all sitting ducks for surveillance. In fact, we are naive to think that the communications networks that connect us to the rest of the world are scattered and diffuse, and hence not so amenable to eavesdropping. The truth is almost all the telecom and Internet traffic physically flows through the US. In 2006, a whistleblower at the American telecom giant AT&T revealed how he had helped NSA set up a device that sucked up huge amounts of digital data—emails, Skype chats and calls, Internet browsing histories. To decode this massive heist, the US government spawned a cottage industry of algorithms that could tease out information on any individual. The question is how does one resist it, if at all. 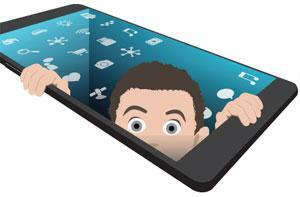 For him, the cellphone or smartphone is an apparatus. He makes it clear that he finds it an abomination and wishes he could destroy them all. But then he takes a pause and wonders if by destroying it we might not in the process also destroy a part of us that not only created the apparatus but was also created by it. That said, it is also true that we had no real choice once we were hooked on. Would we have voluntarily consented to be being tracked had we been told at the very beginning what was being done with all our personal data is a moot question. Maybe we wouldn’t have, but that doesn’t help now. It seems there is no way one can break the corporate-state surveillance nexus except perhaps to make it less rapacious by extracting a few privacy clauses. Colin Koopman, who teaches philosophy at the University of Oregon, USA, believes “every form of power has its vulnerabilities, and the specific weakness of what I call ‘infopower’ is shutting off the data feed that supplies the algorithm.” But then he wonders “who among us would be audacious enough to stop churning out the data that increasingly defines our very selfhood?” However, Mark Andrejevic, media scholar at the University of Queensland, Australia, is not too worried about the privacy question. In his 2013 book Infoglut: How Too Much Information Is Changing the Way We Think and Know, he argues that Big Data is interested not so much in personal histories as in broader trends in a population. And since what is normal is determined by the statistically average person, the Big Brother is more curious about an average law-abiding, conforming individual rather than an outlier. In the light of such confusion over whether one is watched individually or as part of an anonymous crowd, it would be interesting to see how the Indian Supreme Court makes sense of Big Data with respect to whether Aadhaar violates the right to privacy. It’s clear creating a law to protect data will not be enough as the algorithms can find the individual needles from an anonymised haystack. The court took the first radical step by declaring privacy a fundamental right. But will it push the envelope further by breaking the state-corporation surveillance nexus? Viewed from outside the box, Big Data is essentially an advanced feature of the industrial-military complex in the service of profit and power. It allows the new potentates to extract both profit and power from the datafication of life at a scale and complexity the world has never seen before. For, in what way does it matter to the villager marooned in the Bihar flood? It doesn’t. Or for that matter a fisherwoman eking out her livelihood in boondocks of Assam. They represent the last frontier against Big Data’s predations and depredations. Is it a surprise then if NaMo, a fervent devotee of Big Data, wants to trap all of them in its catchment? In the Cloud of Unknowing, a 14th century mystical work written by an unnamed English monk, the author chats up a young monk about what could be considered a good life. The senior monk advises the apprentice that if he wants to grow as a person, he should unburden his mind of unnecessary baggage. He likens a mind stuffed with thoughts to a cloud that is so beautiful that it is actually devoid of wisdom, a cloud of unknowing. Moral of the story: Beware of the cloud.